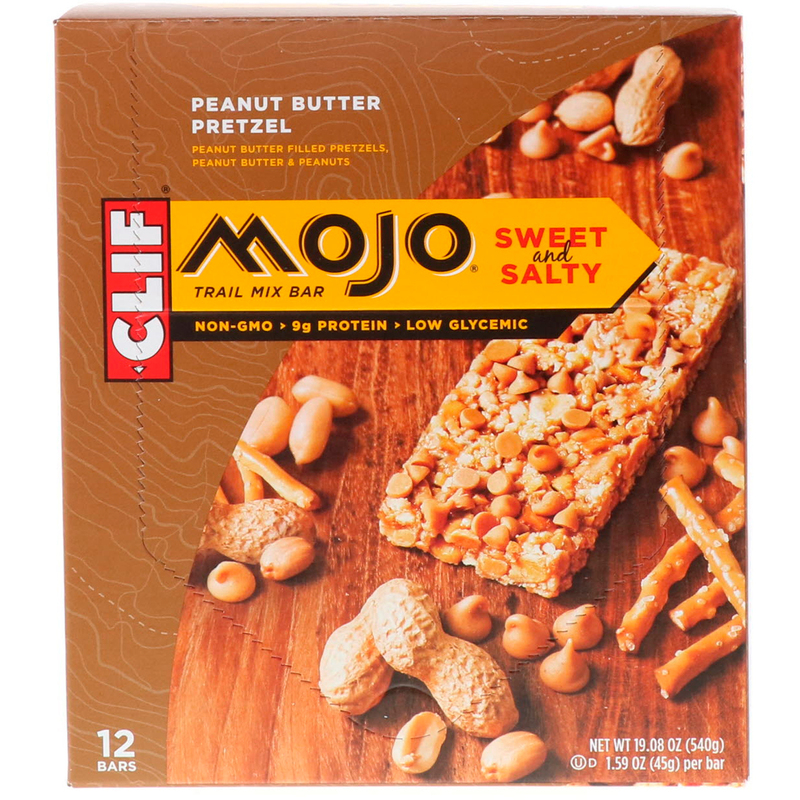 Clif Mojo Sweet and Salty Trail Mix Bar is made for mixing it up and discovering all the good stuff the day has to offer. 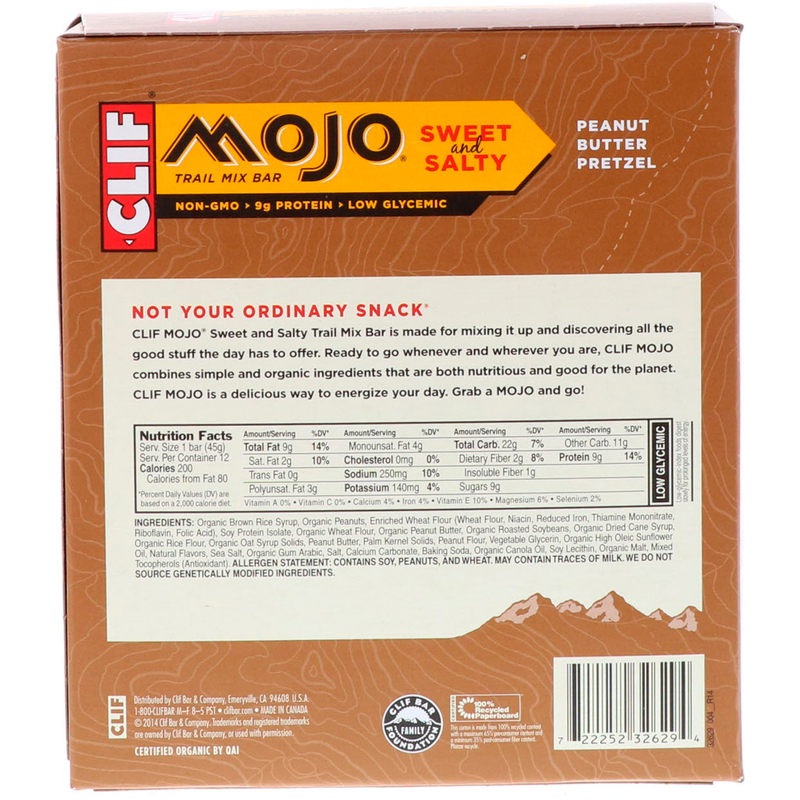 Ready to go whenever and wherever you are, Clif Mojo combines simple and organic ingredients that are both nutritious and good for the planet. 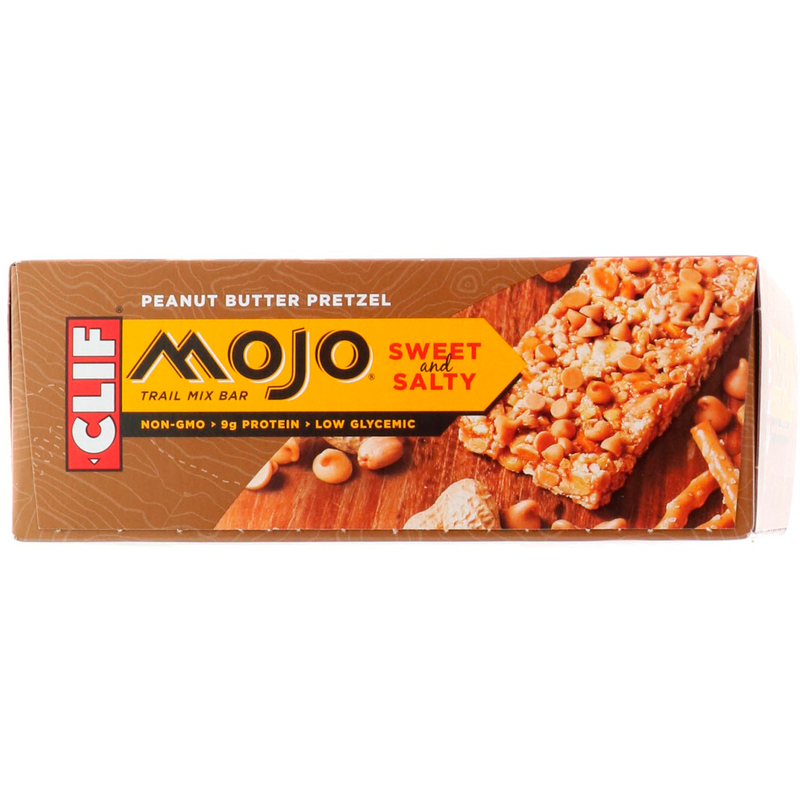 Clif Mojo is a delicious way to energize your day. Grab a Mojo and go! Organic brown rice syrup, organic peanuts, enriched wheat flour (wheat flour, niacin, reduced iron, thiamine mononitrate, riboflavin, folic acid), soy protein isolate, organic wheat flour, organic peanut butter, organic roasted soybeans, organic dried cane syrup, organic rice flour, organic oat syrup solids, peanut butter, palm kernel solids, peanut flour, vegetable glycerin, organic high oleic sunflower oil, natural flavors, sea salt, organic gum arabic, salt, calcium carbonate, baking soda, organic canola oil, soy lecithin, organic malt, mixed tocopherols (antioxidant). 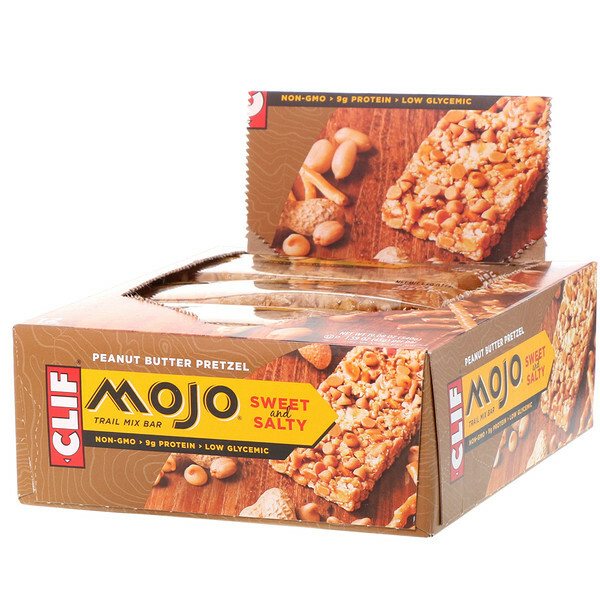 Allergen Statement: Contains soy, peanuts and wheat. May contain traces of milk. We do not source genetically modified ingredients.